It has been over a decade since Facebook first broke ground in social media. 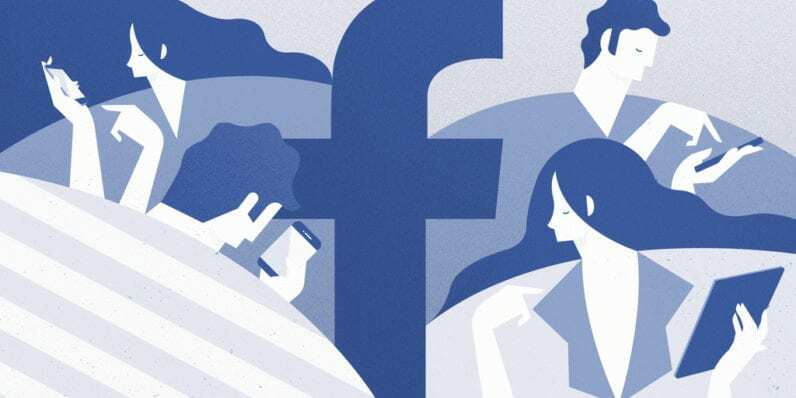 Since its inception in 2004, Facebook has gone from connecting people in close proximity—students on college campuses—to closing the gaps of space and time as old high school flames reignite their old love through the lines of Facebook Messenger. However, not even Mark Zuckerburg could have predicted Facebook would be used to connect family members and amateur investigators in order to uncover new leads in unsolved or cold cases. The social media platform hosts hundreds of discussion pages, like Cold Case Discussion Group and Missing Leads, all ranging from the unsolved murder of child pageant star, JonBenét Ramsay, to the disappearances of private citizens. As the epidemic of missing persons and unsolved cold cases in the United States grows, so does the number of Facebook discussion groups dedicated to the collection of new leads in these cases. These discussion groups and subsequent websites devoted to the re-examination of these cases have provided a new platform for connecting armchair detectives across the country. The phrase “armchair detective” refers to a person, who is not a member of law enforcement and who is not involved in the investigation process, who makes a hobby or career to research crimes and investigations in the hope of solving them. The phrase possibly first appeared in a Sherlock Holmes short story called The Adventure of the Greek Interpreter in which Holmes says, referring to his brother, Mycroft, “If the art of the detective began and ended in reasoning from an armchair, my brother would be the greatest criminal agent that ever lived.” Armchair detectives may be professionals such as investigative journalists or former law enforcement. They may also be retired private citizens, like Gemma Hoskins and Abbie Schaub of Baltimore, Maryland. Hoskins and Schaub are like many of the middle-class people who grew up in Baltimore in the 1960’s. They were involved in their community, they attended church, and like many of their peers, they attended an all-girls Catholic school, Archbishop Keough High School, where they were under the instruction of a nun named Sister Catherine Cesnik. Both Hoskins and Schaub were former students of Sister Cathy’s when she mysteriously disappeared in early November of 1969. Her body was found nearly three months later by hunters in a wooded area outside Baltimore. The medical examiner discovered Sister Cathy died by blunt force trauma to her skull—the manner of death is homicide. Despite various leads, including the victim’s car being found abandoned across the street from her apartment, the trail for those behind Sister Cathy’s murder went cold and stayed cold for nearly half a century. In 2005, a journalist named Tom Nugent revived interest in the case when he wrote a story entitled “Who Killed Sister Cathy?” for the front page of the Baltimore Sun, but it wasn’t until 2013 that he contacted women like Hoskins and Schaub who might have been Sister Cathy’s students. 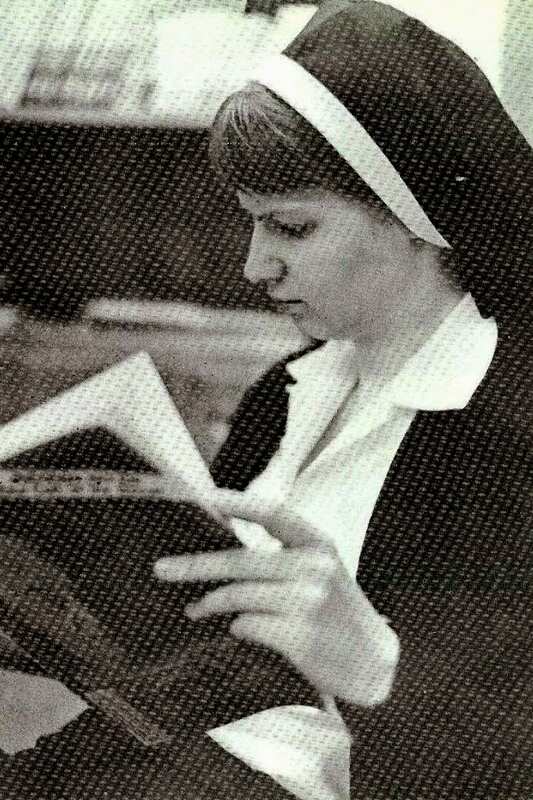 This renewed interested prompted Gemma Hoskins to post a message on the Facebook group for Archbishop Keough alumni, seeking others who might have information about the circumstances around Sister Cathy’s murder. Her attempt to reach out was met with negative response, with one exception: Abbie Schaub. And thus, an amateur team of armchair detectives was formed. Hoskins and Schaub are both retired—Hoskins from teaching and Schaub from nursing—and in the last five years, they have used the leads garnered from their Facebook discussion page about Sister Cathy to break new ground in the cold case, including identifying possible suspects, and circumstantial information that might point to a conspiracy to have the nun abducted and murdered. 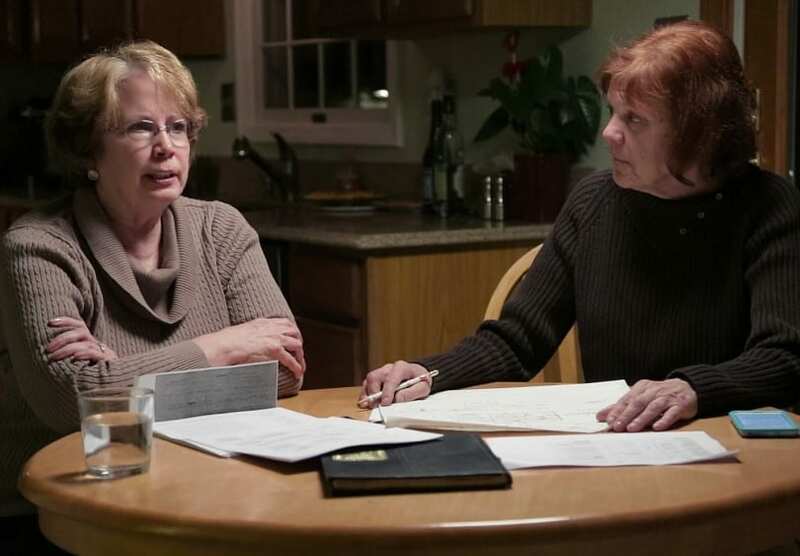 In the 2016 Netflix series, The Keepers, an original docu-series chronicling the mysterious circumstances surrounding Sister Cathy’s murder, Tom Nugent describes Abbie Schaub as “the intellectual,” and Gemma Hoskins as “the bulldog.” Between the two of them, they make a highly efficient investigative team. While Schaub’s strengths lie in research and the recovery of documents in public-access, Hoskins uses her people skills to pound the pavement in search of anyone with information about their favorite teacher’s murder. To show your general support for the surviving loved ones of the victims, please visit the Justice for Catherine Cesnik and Joyce Malecki Facebook page.